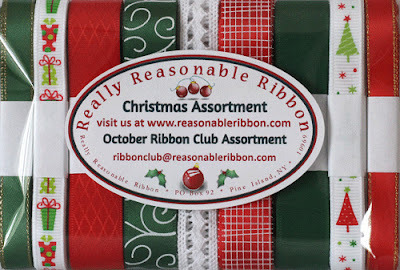 Really Reasonable Ribbon Blog: Really Reasonable Ribbon October Blog Hop Winner! This is the second post of the day. Be sure to scroll down to see the beautiful project that Bonnie has made for us today. Oh my! I have enjoyed every stop along the way of this amazing hop. I love the cards and decorating ideas and lovely ways of adding some of the pretty ribbon to everything. I love that name! Congratulations Auntie Em! Well, my goodness! This is exciting. Well, I just read over the whole post and it said I need to send my US address along but since I live in Canada and don't get to the US often. Would it be alright if I sent along an address of a US crafting friend who would love to have your beautiful ribbons in her stash? I love sharing so it would make me happy to know another paper crafter was able to enjoy them.